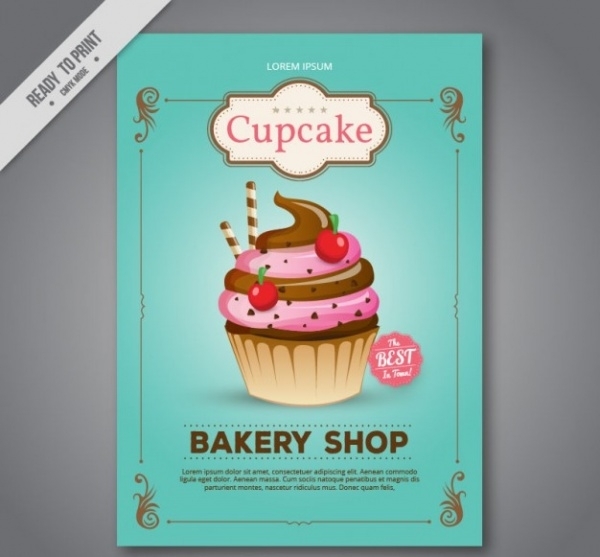 For a lot of people in the world that have a sweet tooth, bakeries are their favorite place. 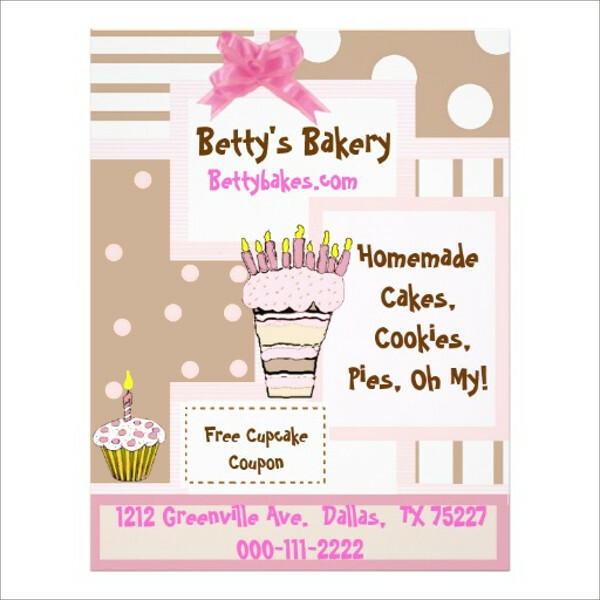 Bakeries are special because that’s where we can satiate our appetite for favorite desserts – cakes, tarts, pastries. Of course, you even get to binge on some amazing savory stuff as well – pies, pizzas, sandwiches and much more. 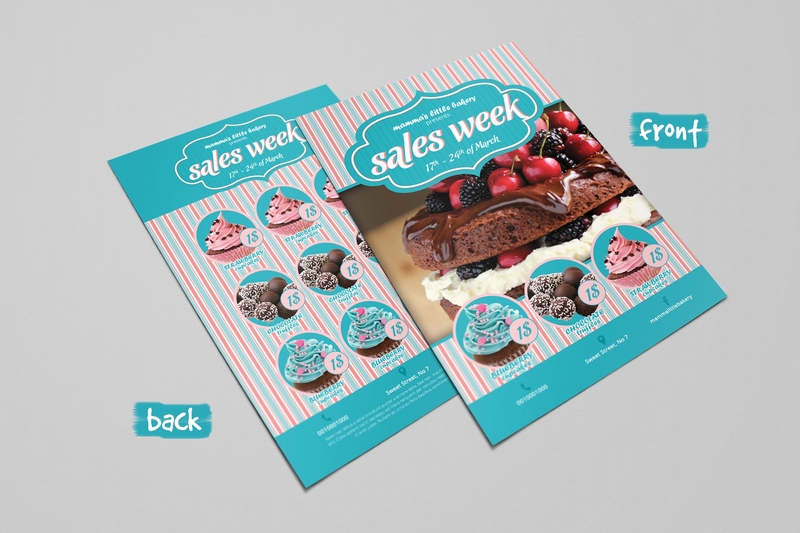 If you’re a bakery owner you’d agree that flyers do the best and fastest promotion. 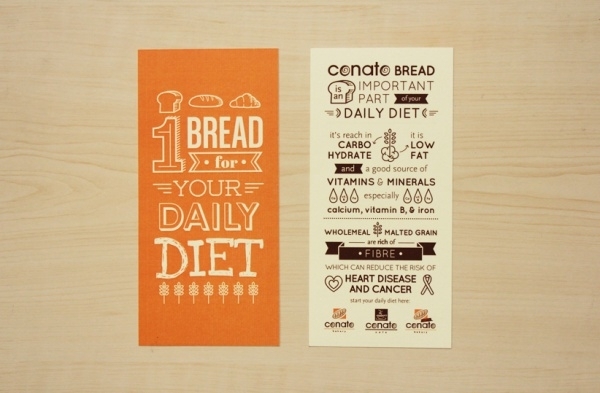 Check out some very innovative and very useful bakery flyers!You may also see Food Flyers. 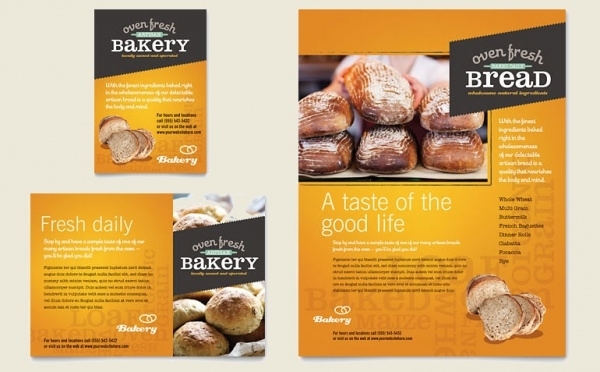 This is a fully-editable and fully-customizable qualitative bakery flyer sample. All of the elements can be tweaked if you will, however, there is not much need for that as the template looks well-designed already. 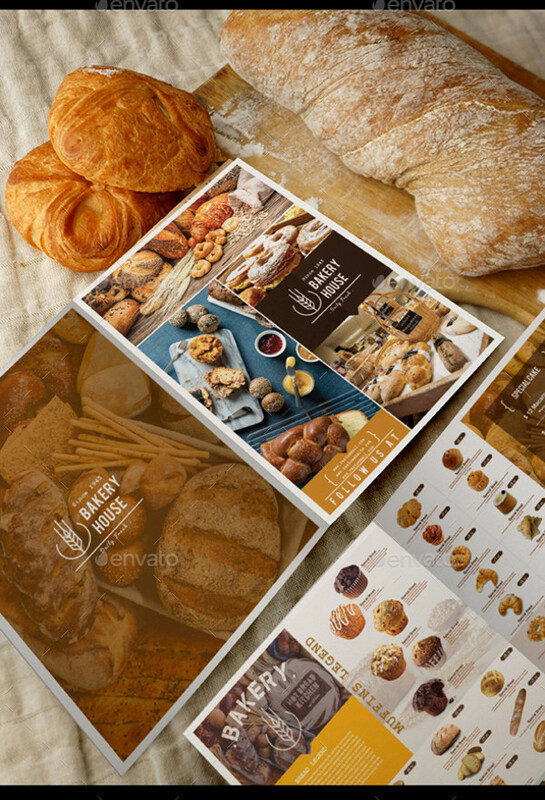 You just need to insert your bakery’s name and menu details! You may also check Restaurant Flyers. 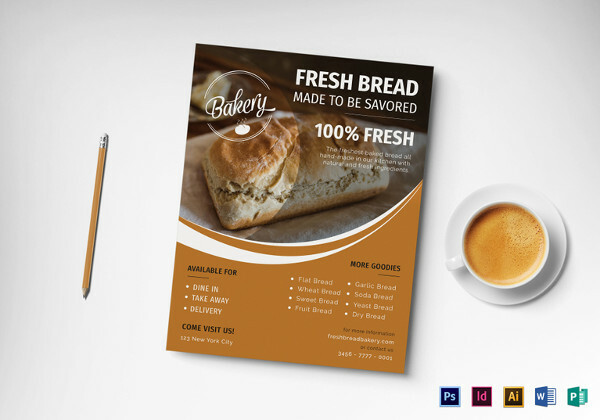 Be it cakes, muffins, pies or bread, regardless of how elaborate your bakery menu may be, this utterly awesome flyer template has the designs and devices to advertise your bakery brand just the right way!You may also see Pizza Flyers. 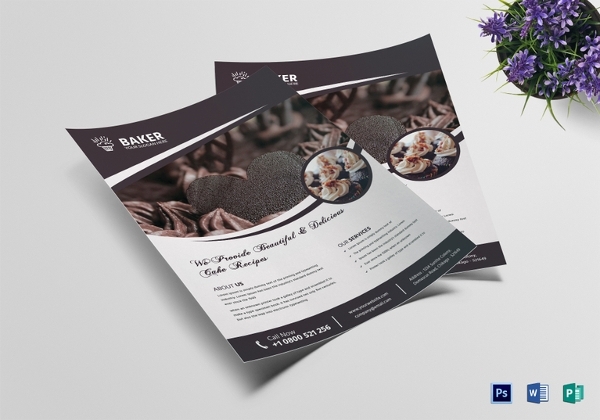 If your bakery is a treasure trove of French baked items, you can totally count on this flyer template to showcase your French baked specialties to your clients in a special manner. 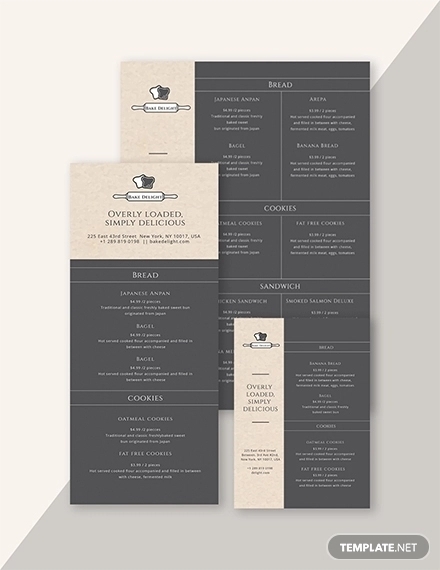 Of course,the template looks good is fully-editable. 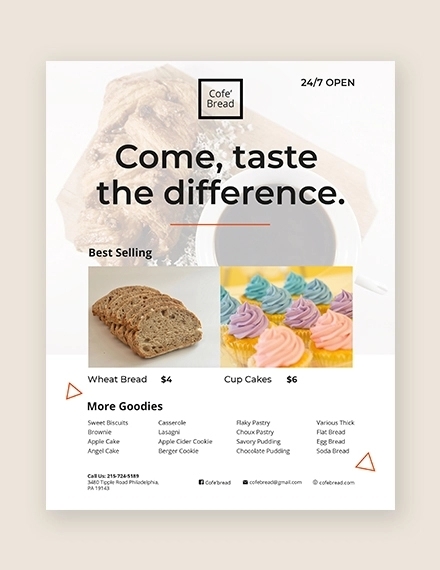 This bakery flyer design is available in two color schemes and all of the files are PSD format so you can change and edit elements and details very easily. It is a premium buy and costs $6 only. 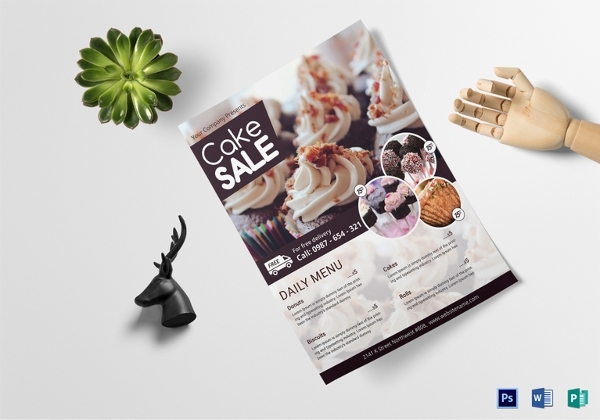 If you’re hosting a festive or seasonal bake sale, let this flyer template be the one which you distribute and circulate in your vicinity, neighborhood or city. 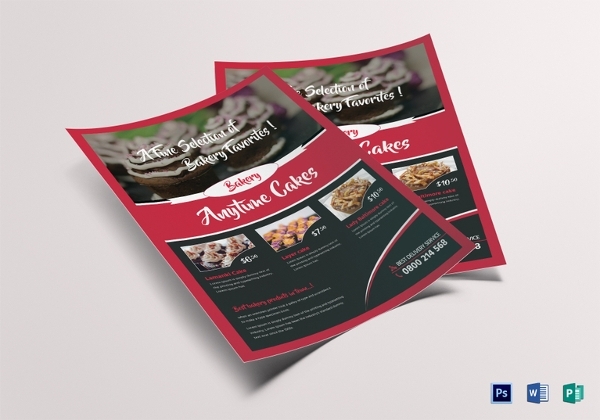 The flyer template is high-resolution and fully-editable. 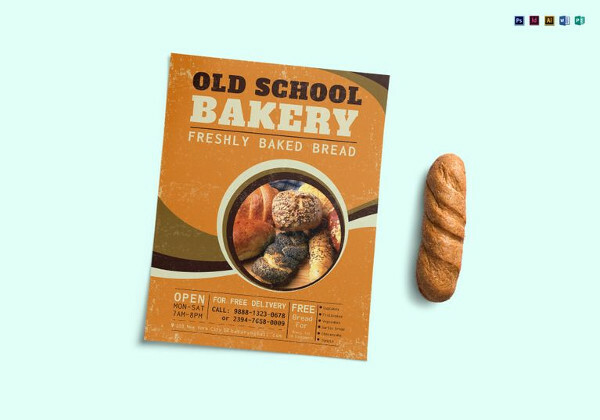 If your bakery specializes in serving a comprehensive collection of bread, this bakery menu flyer is just very apt for the purpose. 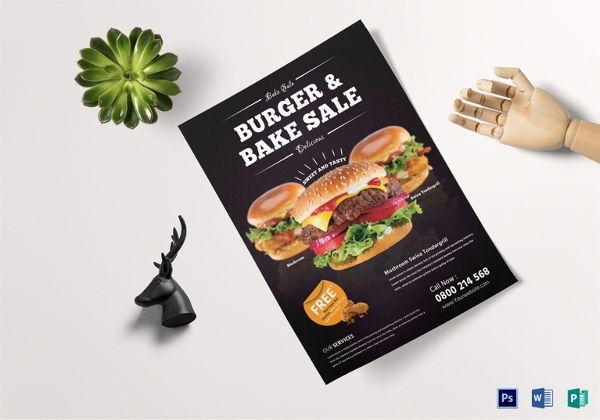 This flyer template is available in two sizes – A3 and A4. 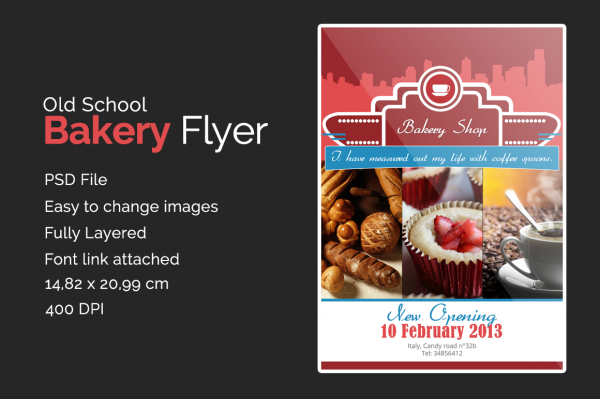 If you like to keep your flyer design simple, go for this old school bakery flyer template. 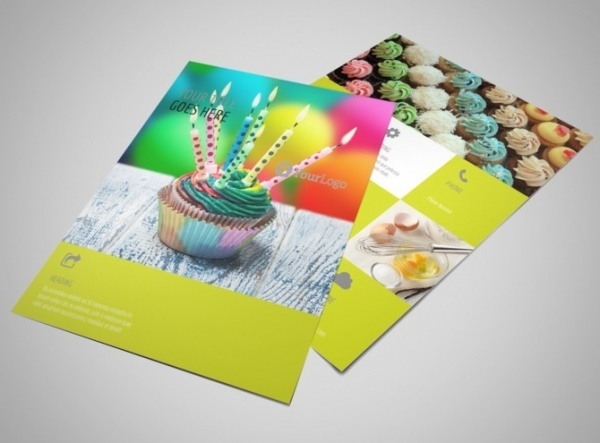 It is a PSD file with easily changeable elements, images. It is a fully layered template and the font link is also provided. 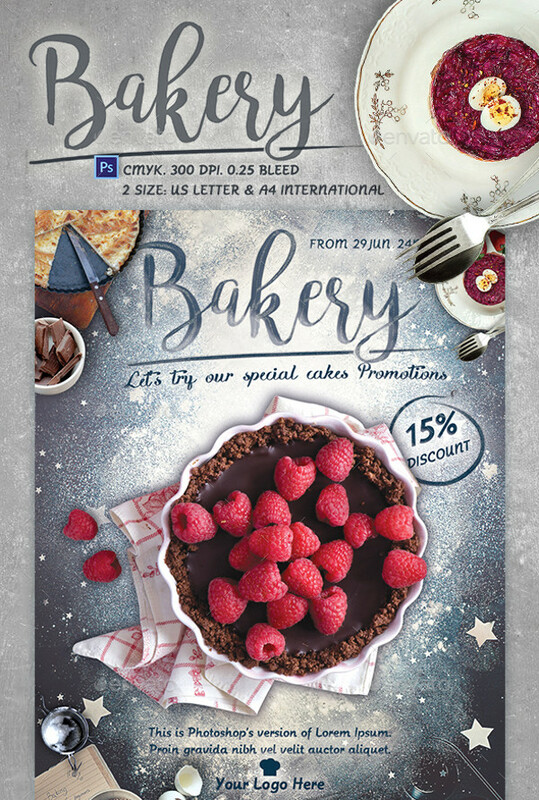 This bakery flyer vector has all the features and qualities to qualify as the cover of a bakery magazine or flyer, you can even make poster design using this template. The vector is high-resolution and resizable. 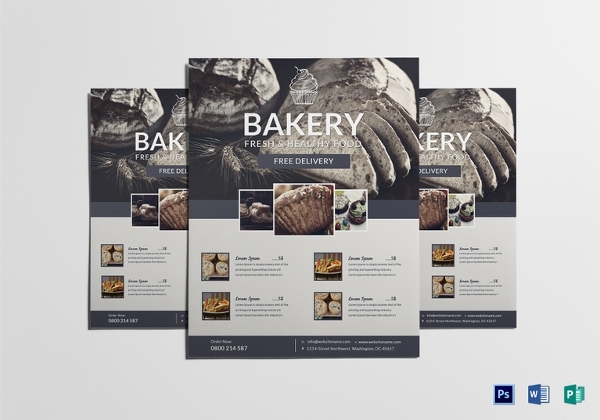 This utterly mouth watering bakery flyer template is guaranteed to make customers rush to your outlet and a make a beeline at the door to buy your baked goodies. 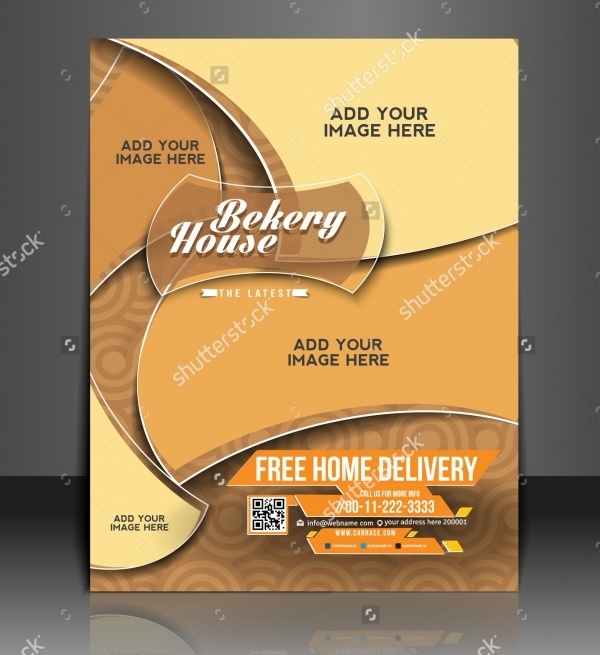 There’s not much need for artwork editing, you just need to replace and insert your bakery details and other relevant specifics. 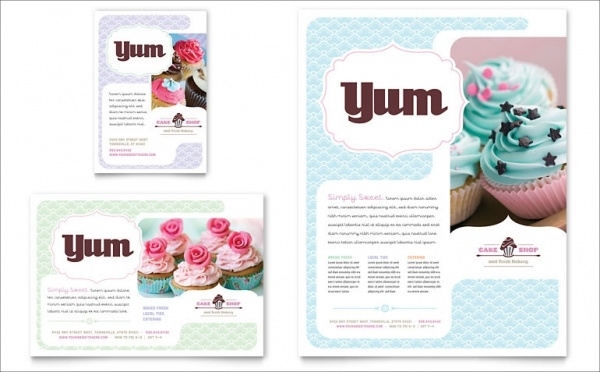 Feature your bakery’s best items onto this totally awesome and customizable bakery flyer template. 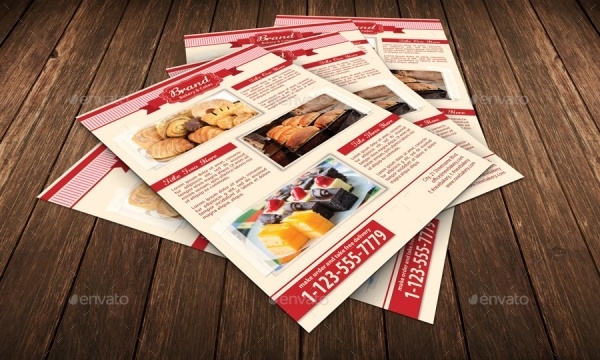 This flyer is apt to be used for advertising of restaurants, bakeries or coffee shops etc. The template is winsome and costs $8. 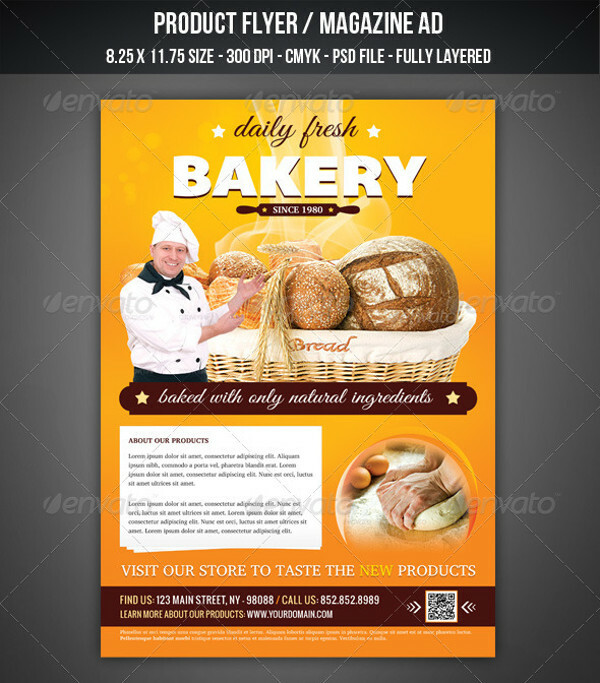 Advertise your bakery’s good in a comprehensive manner by including a selection of high quality images and relevant text as shown in this template. You can alter the color and background aspects if you wish. 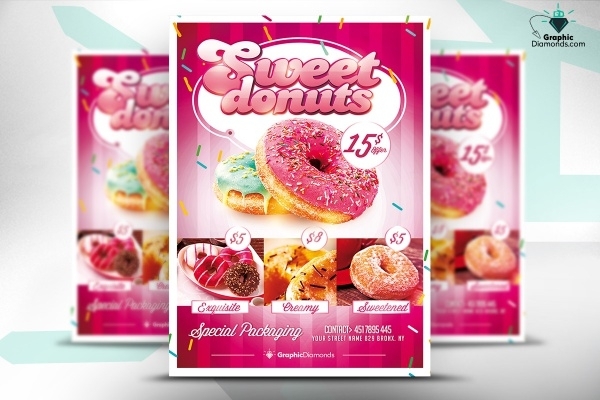 This another alternative option which you can select to advertise your Sweets Shop / Confectionery / Bakery / Pastry. The customization and editing process is very easy-to-do. The template is loaded with smart objects and it costs $6. 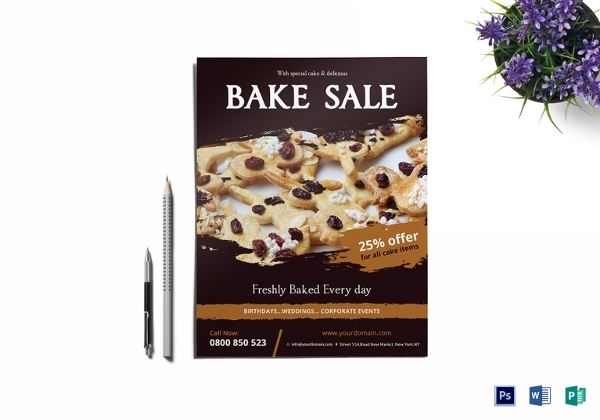 Promote your baked goodies in a sumptuous manner. 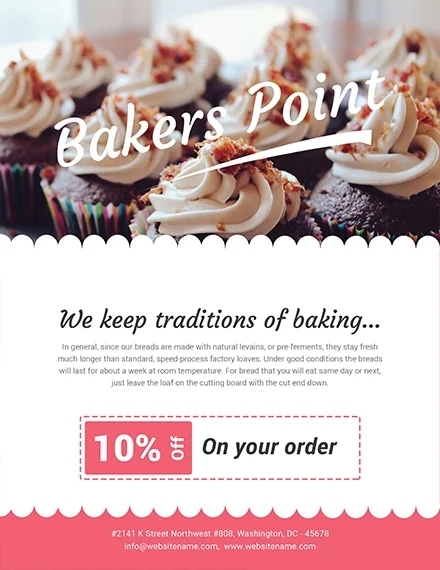 This bakery flyer template is packed in delicious design, layout and fonts all coming together to help you customize and create the ideal bakery flyer. 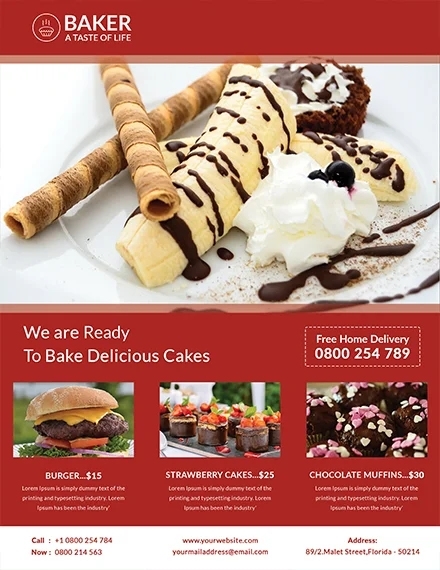 For runners of cake shops and bakeries, presenting a very good-looking choice for a bakery flyer. 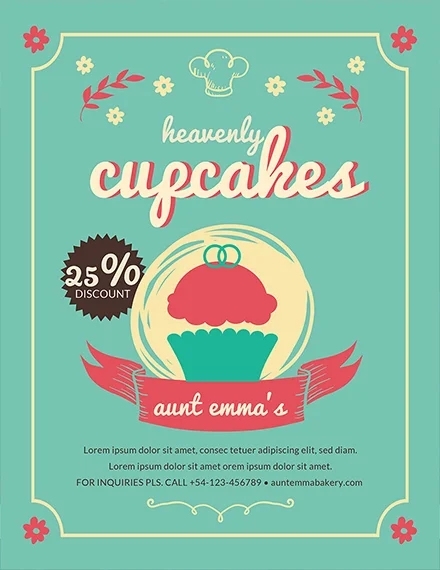 The flyer template is brimming with customization options and settings to help you design the flyer of your choice. 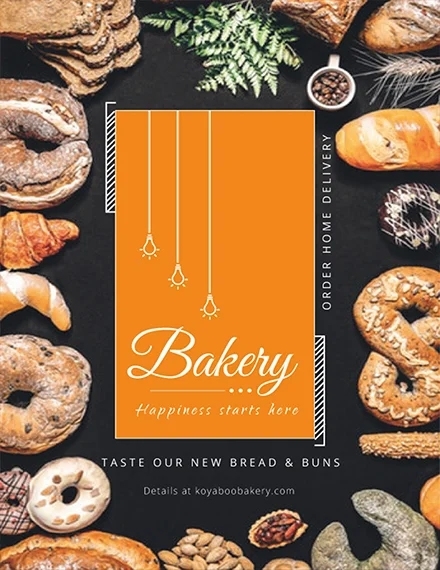 A bakery is a wonderful place and it needs to get the right kind of advertisement. 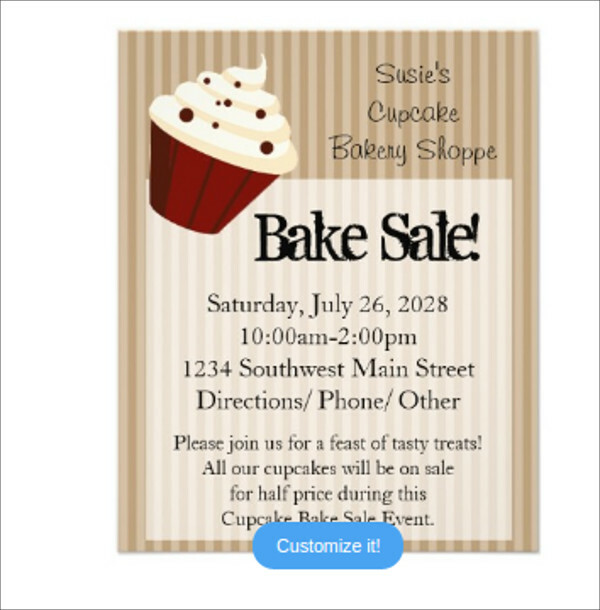 If you’re going the flyer route, you can totally count on our collection and take advantage of the readymade yet very customizable bakery flyer templates listed here. Some of them are free-of-cost while for others you have to pay a price. Make your pick now!